‘Tis the season for new and returning favorite shows at Walt Disney World. The holidays are such a festive time around the Parks and Resorts. 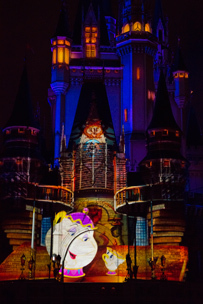 Beginning November 4th a new projection show “Once Upon a Time” debuts at Magic Kingdom. The new nighttime show uses projection-mapping technology to produce a dazzling 3-D effect onto Cinderella’s Castle. As a result, best viagra the Castle opens like a storybook and becomes living art. Coinciding with the 25th anniversary of the classic, viagra sales Disney’s Beauty and the Beast, the show is narrated by Mrs. Potts who shares “once upon a time” bedtime stories with Chip. We get to follow along on the magical trip through scenes from favorite Disney films like “Cinderella,” “Peter Pan,” “Alice in Wonderland,” and more. We’ll get to see scenes like a flight with Peter Pan from London to Never Land, the Mad Hatter’s whimsical tea party, and a daring duel between Gaston and Beast. Mrs. Potts and Chip end their bedtime story with a grand finale that includes appearances by characters from even more Disney films. 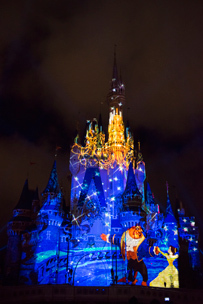 “Once Upon a Time” replaces the “Celebrate the Magic” Castle projection show that will end its four-year run on Nov. 3. The holidays are always exciting at Disney and especially when there’s a new show! "Once Upon a Time", Beauty and the Beast, Cinderella's Castle. Bookmark.